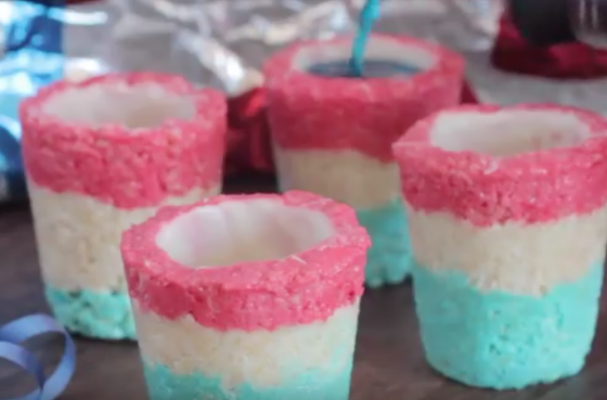 Edible 4th of July shot glasses allow you to chase your favorite spirit with a sweet treat. The classic Rice Krispies treat recipe is spiked with some color to add some pizzazz. The cereal is then molded into a drinking vessel using plastic Dixie cups and a shot glass. The inside is coated in white chocolate to prevent your drink from leaking. This fun activity will really take your Independence Day party to the next level.